Randstad US gives tips to prevent eye injuries, safety measures which positively impact employer brand and explains costs from eye injuries. March marks Workplace Eye Wellness month. Those who see this as a minor workplace threat may be surprised to find nearly 2,000 workplace eye injuries take place everyday in the United States, according to the Bureau Labor of Statistics. The statistics alone should inspire manufacturing and logistics organizations to reflect on whether daily operations nurture or neglect strong safety standards. And if reports indicate anything, it’s clear that most companies need to prioritize and enforce safety standards on a much greater scale. Internal adjustments to the work environment can be achieved and help eliminate hazards that cause accidents. Here’s how to lead your team with best safety practices to build your employer brand and positively impact your bottom line. Tips to prevent eye injuries in the workplace. Is the work area well lit to ensure employees are aware of their surroundings? Are dangerous fumes, dust, or airborne particles present that could affect the eyes? Is eye protection required, and utilized, in areas with potential hazards? Is visible signage present in work areas that require PPE? Are tools being properly used? Is first-aid present to tend injuries that don’t require serious medical attention? It’s crucial to identify hazards so corrective actions can be put in place and understand what types of safety measures need to be incorporated. This could be creating safe pathways for on-site workers, providing protective eyewear stations or electronic PPE vending stations at the facility entrance or developing new and improved eye-wash installations. Review expected safety procedures during meetings to analyze production and quality goals. Provide positive reinforcement and acknowledge teams that adhere to procedures and intended safety goals. Improve safety communications, which could involve daily pre-shift talks. Include relevant topics such as hazard concerns or near misses and recent changes to equipment or processes that could impact safety. Create visual management boards that display safety metrics, employee infractions as well as steps to combat reoccurring issues. It is key to engage employees in ongoing safety conversations. Additionally, designate an onboarding ambassador who can successfully assimilate new and temporary employees so every individual is educated on the right policies and precautions. Safety and your employer brand. When leaders take the time to listen to their workers’ insights on safety matters, it promotes an environment of respect aligned with company core values. Engaging employees in safety problem solving shows consideration for both their well-being and their job expertise. And employees will surely voice their satisfaction or disappointment through online reviews or exit interviews. Additionally, employers who apply safety techniques can gain the utmost benefit of successfully attracting outside talent and retaining valuable employees. According to Gallup, engaged workplaces reported 48 percent less safety incidents and saw an increase in employee engagement and performance. Ultimately, employees who feel cared for will develop a sense of loyalty and future talent will take notice of what you have to offer, but first you have to create it. Cost associated with eye injury. According to OSHA, eye injuries cost more than $300 million in lost production time, medical expenses and worker compensation. However, employers can experience even greater loss due to employee burnout as a result of absent employees due to injuries. Generally most employees will experience some form of employee burnout in stress, exhaustion, distraction or feelings of being unmotivated. However, major psychological and physical problems may come into play following other employees’ absences when workers are given heavy workloads to compensate, and unrealistic time frames are assigned to complete projects. It’s been said that hindsight is 20/20 and no one wants to come to terms with knowing they could have retained their workforce with better safety practices and saved money in workplace compensation as well as lost productivity costs. Therefore, don’t leave Eye Wellness for recognition in March. Rather create actionable steps toward a safe workplace year round. Corey Berghoefer is a risk management expert with fourteen years’ of experience in enterprise risk management, underwriting, safety, loss control, claims management and risk financing and insurance accounting. He currently serves as Senior Vice President of Risk Management & Insurance at Randstad, the second largest HR Services and Staffing firm in the world and the largest publicly traded firm in the United States. Randstad is a global leader in the HR services industry. By combining their passion for people with the power of today’s intelligent machines, Randstad supports people and organizations in realizing their true potential. Randstad calls this Human Forward. Corey manages a department of 52 risk professionals with the goal of implementing risk management strategies into Randstad’s overall business platform. Under Corey’s direction, Randstad is known for its enterprise-wide risk management strategies, industry-leading workers’ compensation performance, and a comprehensive focus on talent safety. 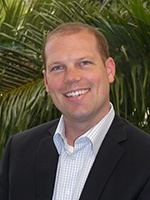 Corey holds a BA degree from the University of Notre Dame and an MBA from the University of Georgia.